Tonight was a collaborative effort, Jon did a beautiful job cutting the vegetables and John cooked everything. I directed from the couch. John makes the polenta 5:1 so it is really creamy. This was our last dinner together before Jon leaves for home tomorrow morning. What a great week we had together! 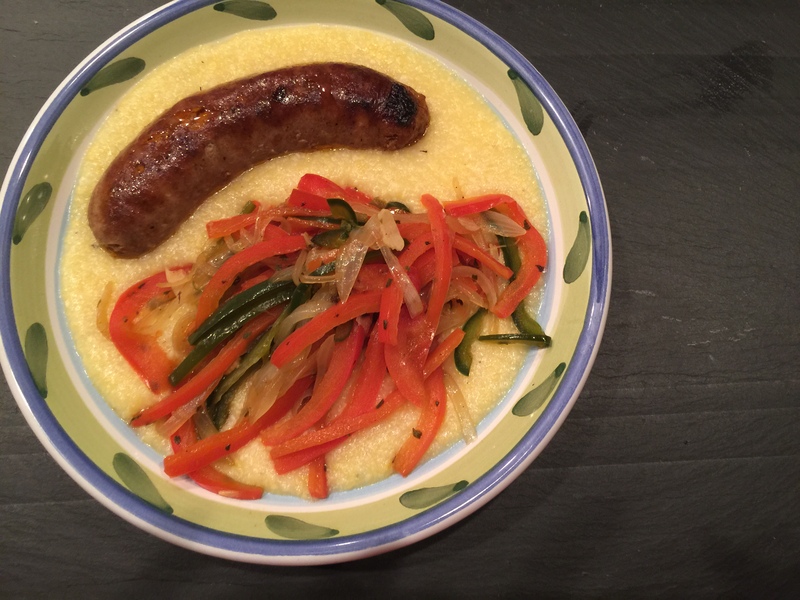 This entry was posted in Uncategorized and tagged bell pepper, Onions, pasilla, polenta, Sausage. Bookmark the permalink.